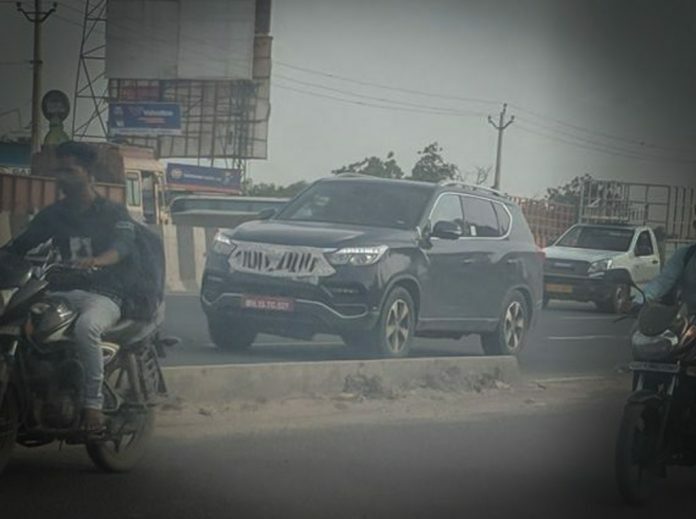 The Mahindra XUV 700 was spotted doing test runs. 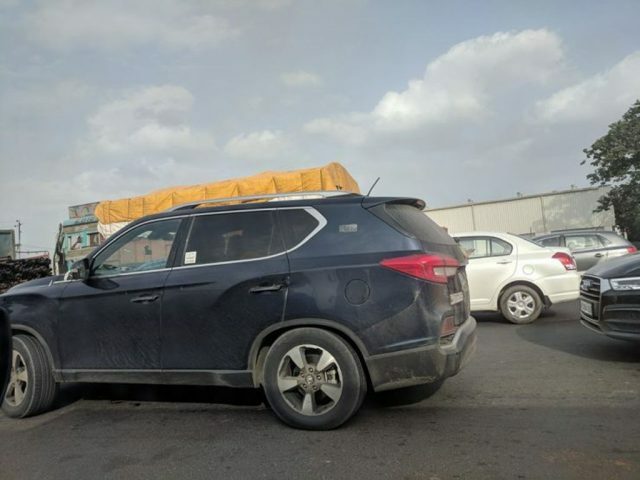 The model spotted testing had a new front grille whose identity is taped. Mahindra left the rest of the body undisguised as changes will be restricted to the grille portion. It appears to have vertical slats as similar to the show car displayed at 2018 Auto Expo with Mahindra badge placed in the middle. Mahindra showcased us the new generation SsangYong G4 Rexton at the 2018 Auto Expo and this SUV is supposed to be sold in the Indian market with the Mahindra badge on it. Once launched, this SUV will be positioned above the XUV 500 from Mahindra’s stable and it could be named or called as the XUV 700. Mahindra & Mahindra is facing increased competition of late in the compact as well as premium SUV segments. It will position the new XUV 700 as its flagship SUV and will compete against the likes of Toyota Fortuner, Ford Endeavour, Isuzu MU-X, Mitsubishi Pajero Sport and the upcoming Honda CR-V. The high-riding premium SUV will boast Mahindra’s off-roading characteristics to the fullest and is based on the ladder-on-frame construction showcasing its ruggedness. When launched in India Expect it to be priced between Rs. 25 lakh and Rs. 30 lakh (ex-showroom), the seven-seater will be powered by a 2.2-litre e-XDi220 LET turbocharged diesel engine making 187 Hp and 420 Nm as in the current Rexton. It is mated to a seven-speed automatic transmission sourced from Mercedes-Benz.